A full-bodied and dry red Cabernet Sauvignon has hints of herbs and dark fruits. When paired with the extra sharp cheddar, the red wine draws out the bold cheddar flavors of this strong cheese. Cabernet Sauvignon also works well with other intense cheeses, particularly ones that are firm and salty. The garlic and herb cheese has sharp and tangy flavors. 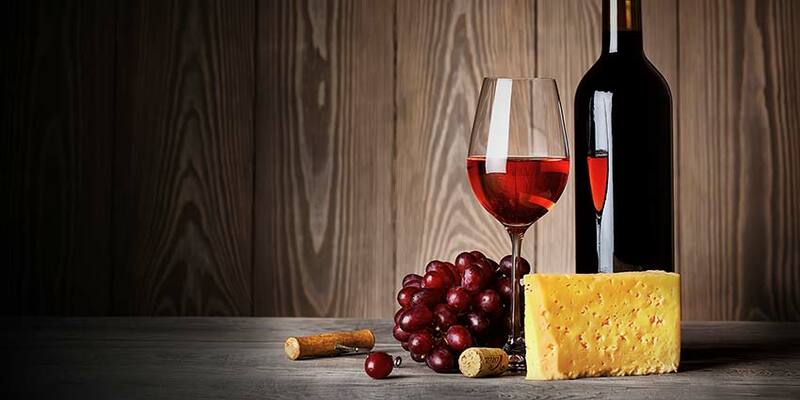 When paired with the Merlot, which is a dry red wine that is medium to full-bodied, the cheese brings out notes of black cherry, plum, and black tea. The garlic and herb cheese flavors are more heavily emphasized because of the Merlot’s dry fruitiness. Reserve or vintage cheese has robust flavors, which need a red wine that can hold up against it. Malbecs are medium to full-bodied red wines that have black fruit, anise, and herb notes. The strong flavor of the Malbec complements the vintage or reserve cheese. Zinfandel is a dry red wine that is medium to full-bodied and has dark jam and black pepper hints. Because Zinfandel is fruity and spicy, it pairs well with these spicy cheeses for a bold combination. Vermont Sharp Cheddar is aged and needs to be paired with a wine that has earthy notes, such as Pinot Noir. Pinot Noir is a dry and light to medium-bodied red wine that has these characteristics along with ripe red fruit flavors. It also works well with a nutty cheese with medium firmness, such as Gruyere. With smoky undertones of plum and cherry, Chianti is a dry red Italian wine that is medium-bodied and pairs well with Mediterranean flavors such as tomato and the basil. Wines made from a blend of red grapes are usually medium-bodied and well-balanced. 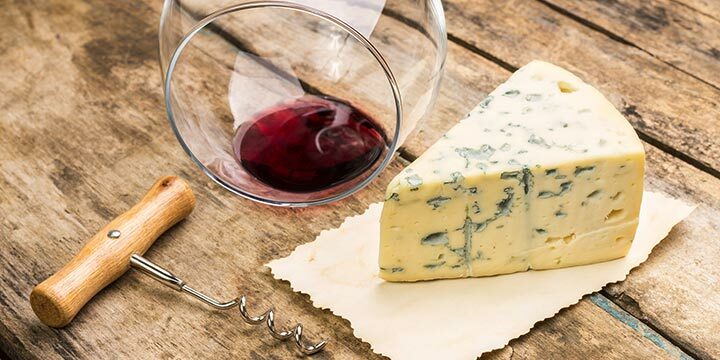 With their fruit, herb, and spice flavors, red blends work well with smoked or sharp cheese because all the flavors become enhanced significantly. 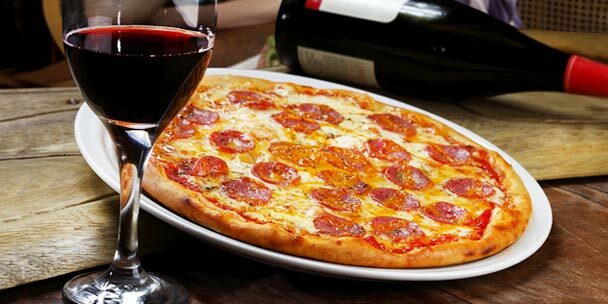 Red blend wine tends to work well with all meal options because it is considered well-rounded. Aged cheese has intense savory flavors. Wines that are paired with them need to be equally intense and should also be rather dry. Syrah holds up well in this pairing because it is dry, medium to full-bodied, and has dark fruit and herb flavors. A Shiraz with tobacco notes works particularly well with smoked cheeses. Chardonnay is a dry, medium-bodied white wine with apple and pear notes, which makes it fruity and crisp. These features help enhance the characteristics of either of these mild cheeses, particularly the creaminess and the sweetness. Pungent washed-rind cow’s cheeses will lose its stinky characteristics when paired with Chardonnay, but you can also opt for milder, traditional triple cream cheese to avoid the smell. This cheese is known for its subtleness and needs to be paired with a wine that won’t overwhelm it. Sauvignon Blanc is a light-bodied, dry and bright white wine that has citrus and grassy notes that complement the cheese. This wine also works well with firmer French goat cheese that has developed spicy flavors. Pinot Grigio is a light-bodied, dry white wine has refreshing pear and melon flavors. Its high acidity acts as a palate cleanser that prepares you for having mild cheese. Both of these cheeses have spicy flavors and work best with sweet wine. 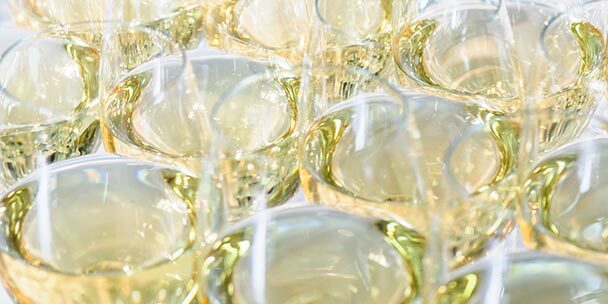 Moscato is an off-dry and light-bodied white wine that is known for its orange blossom and lemon zest notes, as well as having aromatic flavors. Riesling is a light-bodied, off-dry white wine that has stone fruit and peach blossom flavors. When paired with these cheeses, the acidity and sweetness of the wine works well with the cheeses’ stimulating characteristics. Pepper Jack is a spicy cheese that needs a light white wine to partner with. White blends allow the cheese to take precedence with its medium body and crisp white fruit flavors. This popular sparkling wine is usually medium-bodied and varies from dry to off-dry. Champagne usually has toasty citrus and apple flavors. With its bubbly effervescence, this wine works well with mild or spicy cheeses but is versatile enough to be used for any cheese. These spicy, full-flavored cheeses call for a wine that is sweet and has a creamy quality. 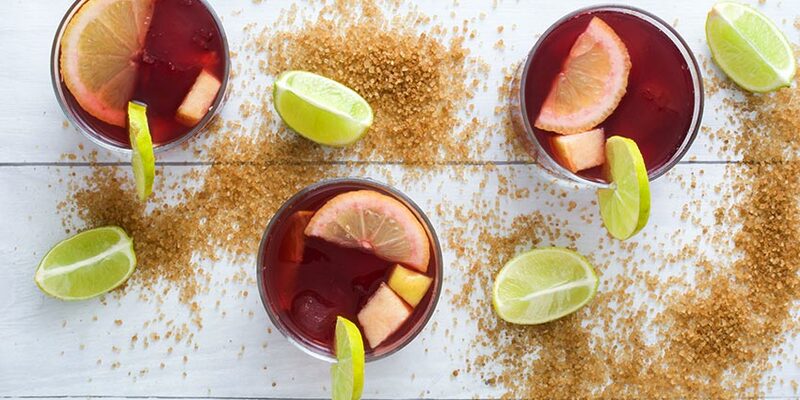 Sweet Rosé is a pink wine that is off-dry and light-bodied. The watermelon and strawberry flavors make the wine a good partner with these cheeses. 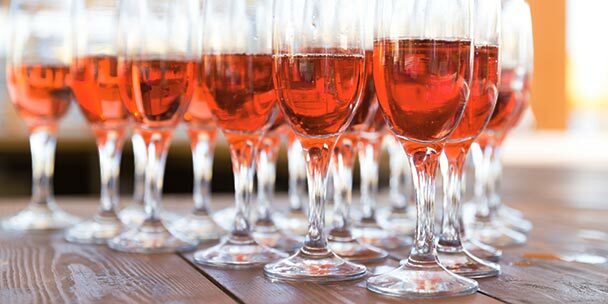 Dry Rosé is a pink wine that is dry and light to medium-bodied. The hints of cherry and raspberry in the wine bring brightness and acidity into the pairing with these mild yet flavorful cheese options. The older the port is, the sweeter it is because the tannins have become soft over time and the acidity has decreased. Because of this, blue cheeses work well with it. The older the vintage port is, the stronger and smellier the blue cheese can be. With these tips, you should be able to make cheese and wine pairing less complicated and more enjoyable. You can enjoy numerous combinations and experiment with this guide as a starting reference point. The list of different types of cheese to pair with wine is very helpful. Thanks for the info. This WILL be coming in handy. I don’t know a lot about wine but I love Italia Roscato red wine. What type of cheese goes with this wine? Roscato is similar to moscato, but with more cherry and berry notes (strawberry & raspberry), so refer to pairings #12 &#16 to experiment.